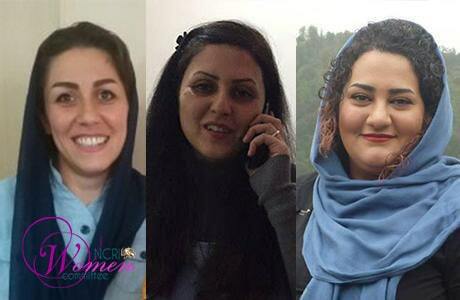 Three female political prisoners have been denied family visits for three weeks in the notorious Evin prison in Tehran following a verbal argument with prison guards in the visiting hall where the women are said to have chanted slogans against the guards. 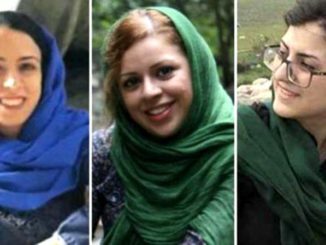 The trio, Golrokh Iraee, Atena Daemi and Maryam Akbari Monfared, asked to see the illegal verdict, but prison staff refused, with the head of the women’s ward telling them that the verdict had been verbally communicated to them by Charmahali, the Prison Administrator, and the Prosecutor’s Office. 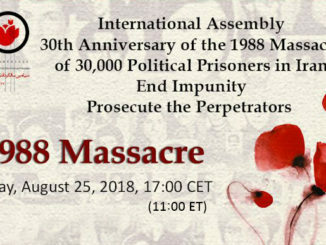 The argument occurred on Saturday, September 9, 2018 the day after the executions of three political prisoners – Ramin Hossein Panahi, Loghman Moradi, and Zaniar Moradi – in Rajai Shahr prison in Karaj (west of Tehran). The women had encountered an unannounced and unlawful inspection in the visiting hall, but they resisted and refused to be inspected or interrogated. The Prison Disciplinary Council held a meeting, without the women present, to discuss the punishment and decided to illegally ban family visits for three weeks, without even telling the trio, but produced no written papers about this decision. The three women prisoners have appealed this decision believing that the order have been arbitrarily issued by the Prison Administrator, and Vaziri, the Deputy Prosecutor, has promised to look into the matter but the women said they shouldn’t expect any major changes from him. While the punishment is being appealed, visits should resume, but thanks to hindrances by the Prosecutor’s Office representative Rostami, the visits have continued to be suspended. Maryam Akbari Monfared, a mother of three, has been unable to see her children as the prison officials refused to change the visiting day at the start of the school year, which should have happened under the prison’s regular procedures. She has been imprisoned for nine years without any sick leave or furlough and can only see her young daughters in the visiting hall once a week. 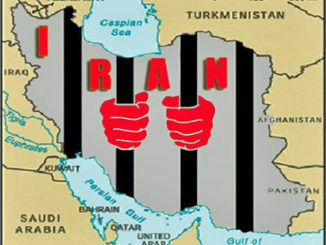 This is yet more abuse of political prisoners rights by the Iranian regime and it will not stop until the Iranian Regime is removed from power by the people of Iran and their organised resistance. Over the years, political prisoners have been subjected to tremendous abuse by the agents of the mullahs in an attempt to break their will and get them to renounce their political beliefs. They are tortured, denied medical care, kept in solitary confinement or in cells that are packed to the helm. If that doesn’t work, the Regime would try to murder them, as they did with the 30,000 political prisoners who were executed in the 1988 massacre in Iran.